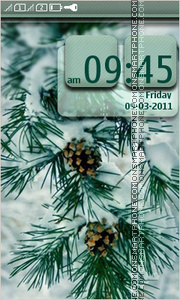 Hi friends, winter is ending, but winter themes are in trend! 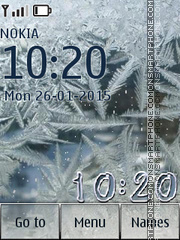 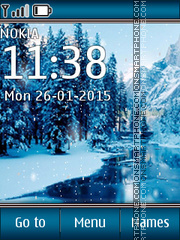 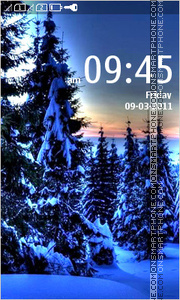 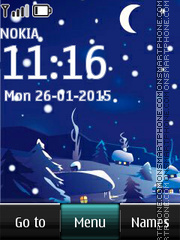 It's winter night landscape - nice theme for Nokia. 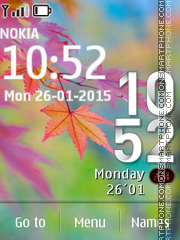 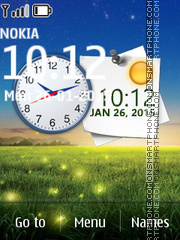 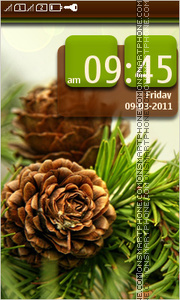 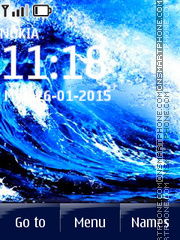 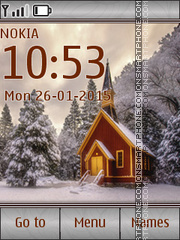 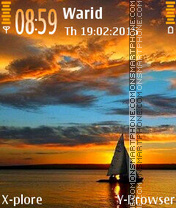 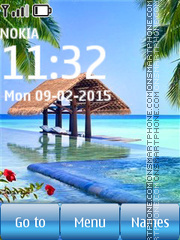 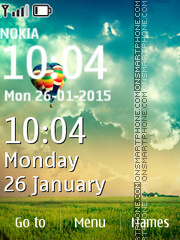 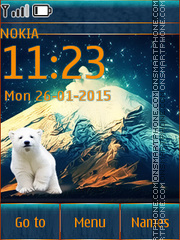 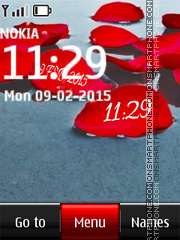 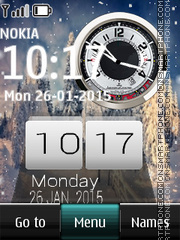 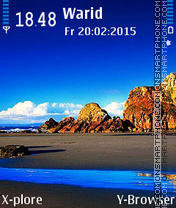 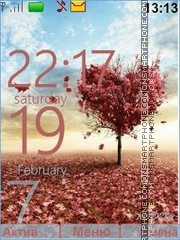 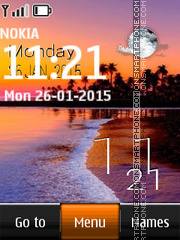 Theme for Nokia mobile phones on flash with watch and leaves. 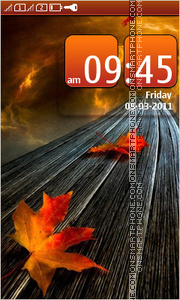 Leaves, autumn, seasons, crimson foliage.